If you want your kids to eat more veggies it can take a little work. Here are some tips from DealDash to get you started. Every parent wants thire kids to be healthy, but getting them to do things like eat more vegetables can be a tough task. Here are some tips that will get your kids eating more vegetables so that they will develop much healthier habits, from DealDash. You can involve your child in meal planning and preparation. This is a great way to get their input on what vegetables that they like and which ones they may need some encouragement trying. Kids might also find that after helping prepare the veggies they have more of an incentive to try them. Another great reason to get your kids involved with meal planning is that they don’t feel forced to try the vegetables that you want them to eat. My daughter loves to help me prepare veggies by washing them for me. She really feels like part of the team when she assists in preparing the veggies for dinner. Taking your kids to a farmer’s market is another way to encourage your kids to eat more vegetables. Many times there are samples offered that your kids can try and it again gives them the chance to pick and choose what vegetables that they would like to eat. With all the fun colors of vegetables, it is a really fun way to get your kids excited about eating better. This is good for you as well because sometimes they have fruits and vegetables that aren’t sold in your regular supermarket. Many times I have been hesitant about purchasing a new fruit or veggie at the supermarket. However, after having a sample at the farmer’s market it makes it an easy decision. If your child is still hesitant about eating vegetables you can serve them with some kid-friendly dips or sauces. This a fantastic way to get them to try a vegetable that they might have passed up before. Just be sure that they are not eating more dip or sauce than vegetables. One of my daughter’s favorites is a veggie dip that is made with two simple ingredients. You just need a packet of ranch dry seasoning and a tub of plain greek yogurt. It’s much healthier than buying a pre-made ranch dressing or onion dip that’s made for chips. Another great dip for veggies is hummus. They even have new varieties of hummus that are chocolate and caramel flavor! These would be great to spread on apples or bananas. Another great way to get kids to eat more vegetables is to lead by example. 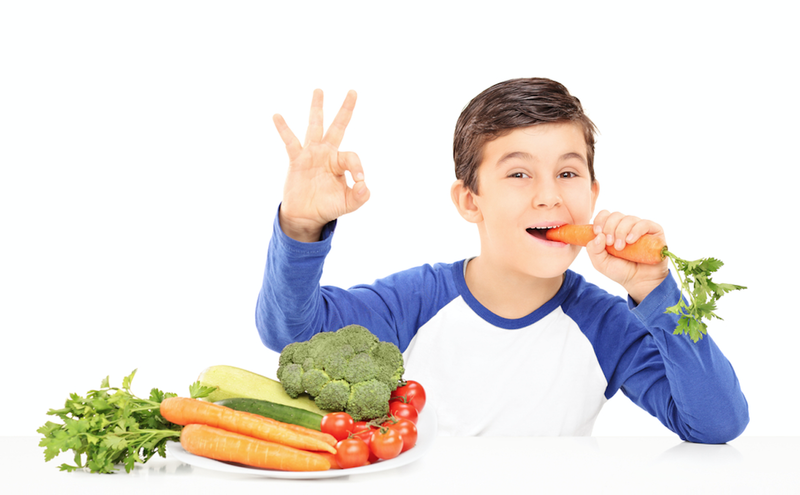 If they see their parents eating more vegetables they will be more likely to start trying and eating them as well. If you avoid eating vegetables your kids will think that they can as well. Personally, I am not a fan of many different types of vegetables. However, I make sure that I cook at least one veggie side per night at dinner as well as have salads available. One veggie that the entire family can agree on is asparagus! Getting your kids to eat more vegetables may seem like an impossible task however with a little work you will have them making healthy choices in no time. Thanks so much for reading this DealDash article on kids and vegetables. Don’t forget to check back every day for new articles here. Also read our sister blog, DealDash Tips. We love to hear from our readers, just leave a comment down below. Do you need new kitchen items? Go check DealDash for kitchen and cooking items. DealDash has all of the things that you need to cook with your kids. Visit DealDash now to see how much you can save. Have a great time on DealDash and happy bidding everyone! This entry was posted in Cooking, Kids and Parenting, Kitchen and tagged child, children, cook, cooking, Deal Dash, DealDash, DealDash Auction, dealdash auctions, dealdash.com, family, fruits, health, healthy, kid, kids, parent, parenting, vegetables on June 4, 2018 by . Creativity is a wonderful trait to possess. Help your kids get started with these hints and tips from DealDash. Many parents wonder how they can instill creativity in their child. They want to make life more exciting and fun for their child. It will be fun for both you and your kids. Here are some tips for encouraging creativity in your child’s life, from DealDash. The first thing you can do is encourage them to color pictures. You can get them a bunch of crayons and coloring books and let them have a fun time coloring different pictures that they like. Don’t worry if they don’t stay in the lines as you want to focus more on them enjoying using the different colors to create a picture. You will see that the more often that they color they will get better at being neat and tidy and staying in the lines. You can also buy them some modeling clay and let them play with it. You can show them how to create different things with the clay and let their imaginations run wild. Modeling clay is something that is very easy to work with so they can start over again as many times as they like to create different things. Painting is another thing that you can do with your child to help encourage their creativity. You can start with something as simple as finger painting or teach them something more complex like watercolor painting, again it is a great way for helping their imaginations develop. You could also take printer paper and teach them how to do things like building a paper airplane or something more complex like origami. Showing them how to make something creative out of something so simple is a great way to help foster creativity in your child. Having them get creative with food is another thing that you can do to help foster creativity in your child. You could help them whip up a batch of interesting flavored cupcakes, try different toppings on pancakes or number of different things where they have to put the imagination to work. As you can see there are many things that you can do to help generate more creativity in your child. 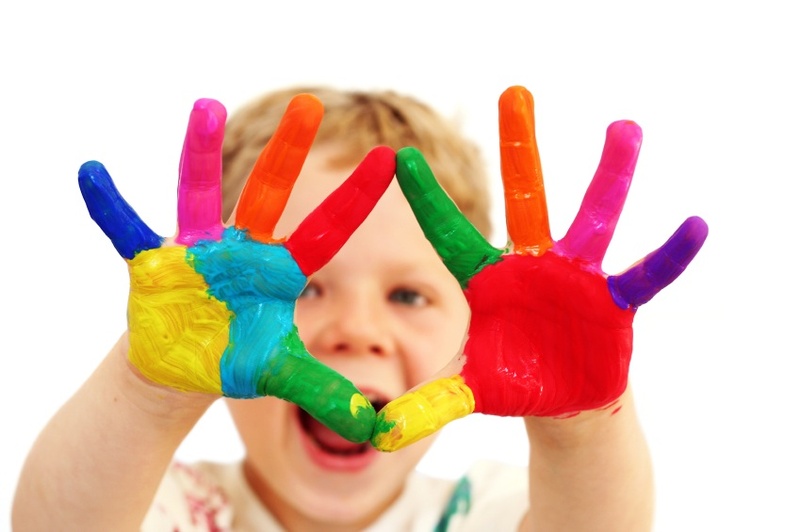 Helping to foster creativity in your child will have them really enjoying life much more. Thanks so much for reading this DealDash article on getting creative with kids. Don’t forget to check back every day for new articles here. Also read our sister blog, DealDash Tips. We love to hear from our readers. Need kid’s items? Go check DealDash for toys and gift cards. DealDash has baby supplies as well. Visit DealDash now to see how much you can save. Have a great time on DealDash and happy bidding everyone! This entry was posted in Kids and Parenting and tagged child, children, craft, crafting, creative, creativity, family, kid, kids, kitchen, parent, parenting on June 2, 2018 by .